Vase of unglazed red earthenware painted with blue, black and yellow enamels and gilded. 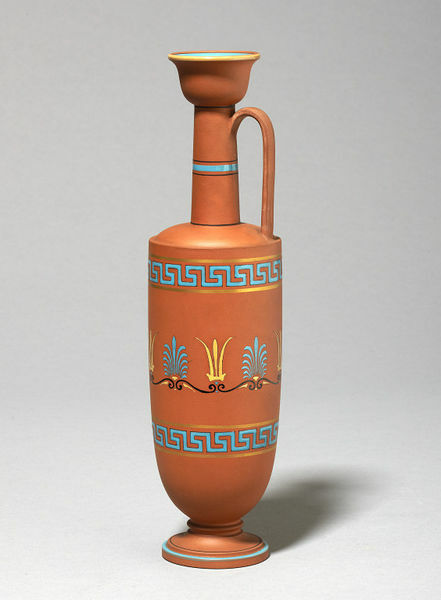 In the form of an Attic lekythos, and painted with two bands of macander ornament between which is a row of palmettes and leafy device. 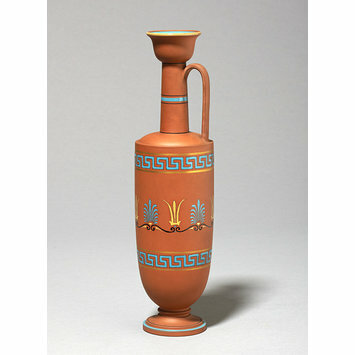 Vase of unglazed red earthenware painted with enamels and gilded, made by Watcombe Terra-Cotta Co., Torquay, 1869-1876.